Handsome enough to hang on the wall by your fridge or bar—and handy enough that you'll want to—this bottle and jar opener is shaped like the life-sized silhouette of a beer or soda bottle. But just slip that grippy, flexible silicone around a stubborn jar lid and see how easily it comes off. 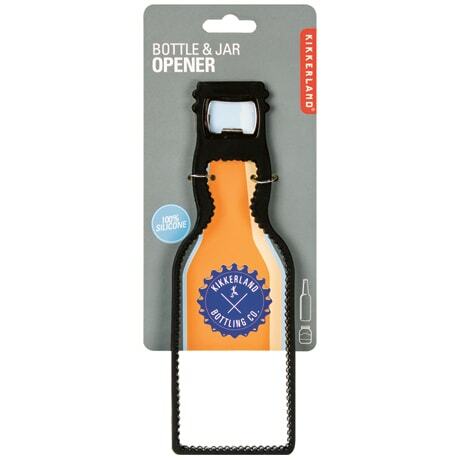 The neck of the opener also has a chromed metal insert that flips bottle caps off quickly and easily. It measures 8¼ inches tall.